Take this opportunity to find out how children really learn to read and write. Explore current research that cuts through the media messages about reading wars and the right way to teach children. Learn by reading stories about children, doing interactive assignments, and exploring the latest in parent and childcare information. You will see everyday children’s play with a new eye as you understand how play can connect to literacy. You'll learn how a child becomes literate from the moment of birth. First, you’ll investigate the many things a child’s growing mind must do to make sense of the written word and create writing. 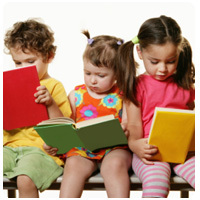 From there, you’ll explore the development of reading and writing from infancy to the early school years. You’ll know what problems to look for and how to assist a struggling reader. 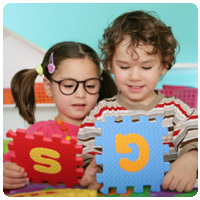 You will see how you can boost literacy growth during daily routines and child’s play. Gain confidence in your ability to guide a child’s literacy development, and take pleasure in seeing how even the littlest events can lead to really big steps in reading and writing success. This course includes a knowledgeable and caring instructor who will guide you through your lessons, facilitate discussions, and answer your questions. The instructor for this course will be Kt Paxton. About the ExpertRating Online Teaching Course (Teaching Children) instructor : After receiving a Bachelor’s degree in Child Development with high honors, Kt Paxton completed a fifth year of study and holds a California Teaching Credential. She managed a pre-school and has more than a decade of experience teaching elementary schoolchildren. Kt is also the published author of the book "More Adventures With Kids in San Diego." Online Teaching Course (Teaching Children) requirements: For taking this instructor led ExpertRating Online Teaching Course (Teaching Children) you need Internet access, e-mail, and the Microsoft Internet Explorer or Mozilla Firefox Web browser. Absolutely worthwhile. Great for use in classroom as well as with my own 2 children (5 years and 2 years). Very good info in last chapter on dyslexia. I have a kid in class that I am seeing these traits with right now!! Thanks!" "After teaching K-1 for 21 years (6 yrs. teaching at risk 1st graders) I was pleasantly surprised at the level of instruction offered in this course. I felt that this was a valuable means for recertification." "An educational experience for me. I learned so much about how young children read and write. The class answered a lot of questions that I had. Now that I am "armed" with good information, I am motivated to reach out to the young children that I'm in contact with." "Another excellent course. I have taken two classes now and love KT Paxton and this method of learning - suits my busy schedule." "As a future reading teacher this class was simply wonderful." "Excellent class! Very up-to-date information - lessons were presented in a very user friendly format, and the instructor kept it interesting by giving examples from her experiences and including humor throughout the lessons." "Great course! Great teacher! Thanks, Kt for another informative course. I loved both of your classes." "I am a teacher, mom, and a very active grandmother. This course was an answer to my prayers! Thank you, Kt!!!" "I am currently taking classes to obtain my reading endorsement, and this class was extremely useful. It provided information that was lacking in my other course. I loved the format of this class. I would recommend online classes to other teachers." "I enjoyed the course. I thought it was challenging, but very useful. It directly affected the way I approach teaching reading to struggling readers." "I enjoyed this course and found the information valuable. I loved the examples given...they helped me to directly relate the material into situations that I find myself in." "I had a wonderful time taking this course. I learned a lot about how children become fluent readers and writers. I have started to put my new knowledge to practice with my six year old. Thank you for the wonderful experience." ExpertRating is one of the world's only ISO 9001:2015 Certified companies (from TUV America) offering an Online Teaching (Teaching Children) Course (leading to ExpertRating Teaching (Teaching Children) Skills Certification). When you choose the ExpertRating Online Teaching Course (Teaching Children) you can be sure that you are buying a premium International certification that is recognized by hundreds of employers and Government bodies in the US and other countries. With ExpertRating you get certified quickly online and you are equipped with a store house of information through the in-depth ExpertRating Online Teaching Course (Teaching Children)ware which has been developed by experienced Entertainment Industry Experts. The ExpertRating Teaching Certification is by far the best value for money instructor led Teaching Program at $129.99. How much does the Teaching Certification cost and what does it include? You can buy this ExpertRating Online Teaching Course (Teaching Children) leading to Teaching certification at a special offer price of only $129.99 which includes the in-depth ExpertRating Online Teaching Course (Teaching Children)ware and exam fee. This is the best value for money Teaching Program available till date. You get the following services within the USD $129.99 fee. In-depth ExpertRating Online Teaching Course (Teaching Children)ware including scenarios and case studies. World wide airmail delivery of the hard copy Teaching Certificate. 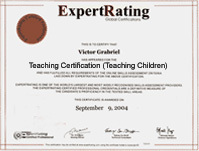 The Teaching Certificate can be used to prove your certified status and does not mention the words "online". The process of getting yourself certified is very simple. All you have to do is buy the ExpertRating Online Teaching Course (Teaching Children) for $129.99. Log in to the instructor led course using your password. Go through the ExpertRating Online Teaching Course (Teaching Children)ware (which would take you 6 weeks) and complete the final Teaching Certification exam at your convenience. You can complete the exam within 2 months of buying the Teaching Certification. The result of the exam appears as soon as it is completed, and your Teaching Certificate is mailed immediately. Chapter assignments to help you practically use the Teaching that you will learn during the Teaching Course. The final exam is fully based upon the ExpertRating Online Teaching Course (Teaching Children)ware that is provided along with the Teaching Certification. If you have gone through the courseware properly you should not have a problem clearing the exam. The exam consists of multiple choice questions from all chapters of the ExpertRating Online Teaching Course (Teaching Children)ware. The Set Read Ready! Course will assist parents and teachers to enhance the literary skills of their children. The early intellectual growth of children is crucial in determining how a child will fare in the academic settings in the coming years. The formation of literacy skills from early childhood can improve language skills and stimulate a child’s imagination powers. Early childhood can make the child feel that education is fun and readies them to perform better at school. The Set Read Ready! 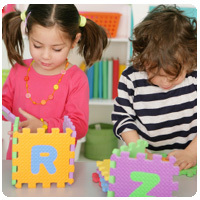 Course promotes literacy skills in the early childhood and provides tips and techniques on how to make learning fun and interactive by mixing it with play. This is a valuable course not only for educationists but also for parents and developmental psychologists. The ExpertRating Set Read Ready! Certification course will hand out tips on childcare and how to promote literacy in children right from their birth. This first lesson will introduce you to the course philosophy and its objectives. Then this lesson will provide examples and anecdotes to show you some of the many ways everyone interacts with reading in daily lives. This lesson will explore the history of reading instruction so that you'll understand where research has taken mankind. Just as a child communicates with parents before using words, young children initiate many literacy-related activities before they actually read and write. This lesson will reveal the language skills that have the greatest impact on a child becoming a successful reader and writer. You'll end this lesson with a new understanding of the complexities of language development. You'll also see any child's language skills in a new light. Everybody gets excited when children learn their ABCs. But what role does this skill play in becoming a reader and writer? And what does it really mean to know your ABCs? 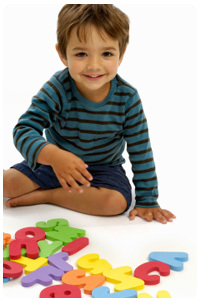 This lesson will uncover the differences between rote memory, knowledge of sounds and symbols, phonemic awareness, and how all these things come together for the early reader. While attention and literacy may seem like big words for little people, the way a child's brain is attending to print in his world has a huge impact on reading, writing, and learning. In this lesson, you'll learn about different types of attention and the importance of having an organized thinking system in order to learn about print. These discoveries may shed some light on your thinking, too! In this lesson you'll discover what's happening when a child works to store information in memory. By the end of this lesson, you'll realize how important it is to store information in some sort of order, and also how to get things out of memory again once they're put away. You'll then be able to watch a young reader with a new awareness of how this skill impacts her success. You'll understand what understanding is all about in this lesson. How does a child make sense of what you read to him or what he reads to himself? This lesson will explore the many skills a child needs to understand text. Just because a child can say a word doesn't mean he knows the word when reading it. After this lesson, you'll know why! While you'd never want or expect a child under two to read, much pre-literacy work goes on during the early years before a child is really even talking. In this lesson, you'll learn how infants grow to become readers. This lesson will explore the many emerging literacy processes that occur during the first two years of life. Then this lesson will fill you in on numerous activities that you can do during this period to build literacy skills. Put away the flashcards—these activities are way more fun! This lesson will explore the sequence of skills that brings toddlers and preschoolers to the threshold of becoming true readers and writers. You'll learn why you should read that favorite story one more time, with enthusiasm! In fact, once you understand how much this repetition is helping your child's literacy, you'll want to read it a dozen more times. This lesson will also provide examples of pre-writing and reading. Research shows that children learn literacy skills in pretty much the same order. This lesson will show you that order, and then it will explain why it's okay if your child doesn't meet these milestones by a specific age. This lesson will guide you through the evolution of reading and writing letters, words, sentences, and then complex ideas. How do all of these pieces come together to produce an able reader? By the end of this lesson, you'll know what fluency looks like when a young child is successfully reading. This lesson will also look ahead to a child's future growth. Literacy skills continue to develop so a child can be successful with literacy activities throughout school and life. This lesson will help you experience fluent reading through the eyes and mind of a blossoming reader. Now that you know all about the mental processes and learning sequences that lead to becoming a writer, this lesson will show you many activities that demonstrate how the complex skill of writing emerges. You'll learn what to watch for and how to assist a child who's becoming a successful scribe. What's going on when a child isn't reading or writing when you expect him to? By the end of this lesson, you'll know how to assist a child who struggles with literacy learning and how to locate resources for assistance. This lesson will also discuss learning differences to help you enjoy the strengths of a child who may be a little slower to master reading and writing than her peers.